Get more done with the easiest way to print from your smartphone or tablet Simplify tasks-and save up to 50% on ink-with this affordable, easy-to-use all-in-one with fax. It fits in nearly any space and works quietly in the background. 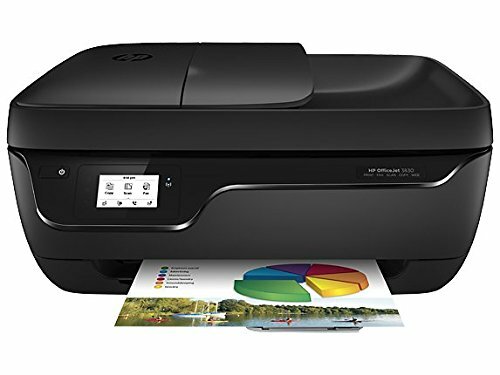 Main functions of this HP color inkjet printer: copy, scan, fax, wireless printing, AirPrint, touchscreen, Instant Ink ready so you'll never run out of ink, and more. Optional quiet mode helps keep noise to a minimum. Print laser-quality documents and lab-quality photos from your smartphone or tablet. Affordable home printing with savings up to 50% on Ink with HP Instant Ink: ordered by your printer and delivered to your door before you run out (optional subscription required).